Jenny Balfour-Paul is a writer, artist, international lecturer and intrepid traveller, with a life-long love of India. 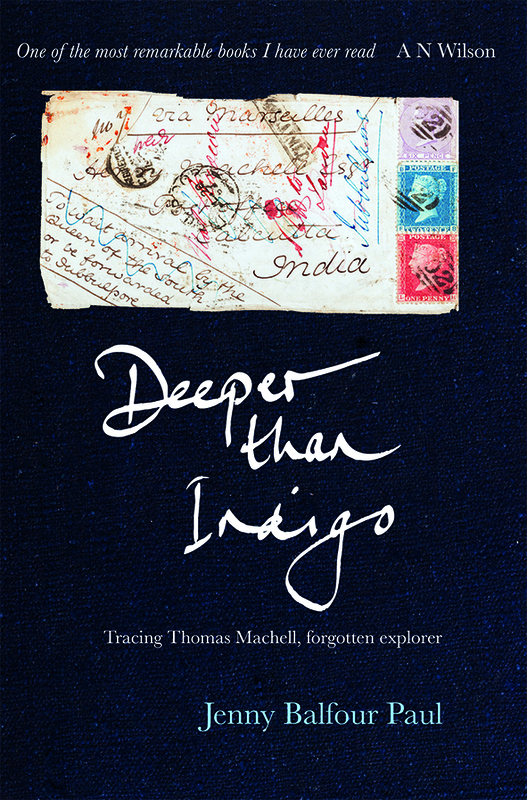 On Thursday 5th October we’ve an event with Jenny entitled Independence Blues: Stories of India, Indigo and Gandhi. Find out more here. Our favourite question to ask authors is ‘What book changed your life?’ and Jenny Balfour-Paul had a cracking answer. On first reading I related to Quested, since, like most teenagers, I liked to think I was somehow ‘different’ so was drawn to a character who defied the norms of Raj Society. Her attraction to an Indian also seemed exotic. This single book fixed my own passion to find a passage to India, though the idea was in the air in that era of the overland Hippie trail to Kathmandu. I talked my way into University on the back of this book, bombarding the interviewer with my enthusiasm. I am a keen reader – as all writers should be of course – but of all the books I have read, this one did truly change my life. An Honorary Research Fellow at Exeter University, Jenny is a Fellow, Councillor and Trustee of the Royal Geographical Society, a Fellow of the Royal Asiatic Society and New York’s Explorers Club and President of the UK’s Association of Guilds of Weavers, Spinners and Dyers. Jenny is involved in research into dyes recovered from shipwrecks, is a partner in ‘Silk Road Connect’, an educational initiative launched by cellist Yo-Yo Ma’s Silk Road Project in New York in 2009, and promotes revivals of natural dyes throughout the world. Jenny is the author of two books. Get your copies or your own A Passage to India today!